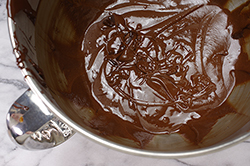 Attention, serious chocolate devotees: this recipe is for you! 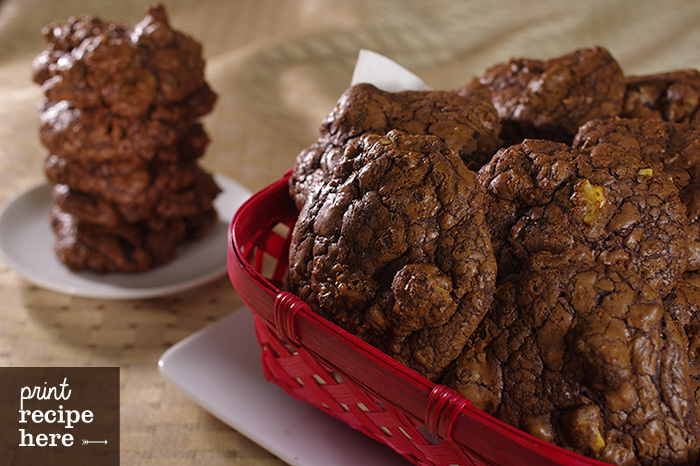 Extremely chocolaty, tender and fudgy, these cookies are the ultimate treat for a real chocolate lover. 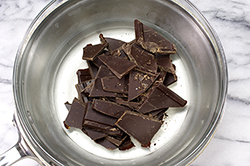 The result is so good that in 2012 the recipe was a winner of the CNN Fair Trade Chocolate Challenge, which invited people to develop recipes using Fair Trade ingredients. If coffee isn’t your thing, feel free to leave it out, and be sure to try the variations that follow. 1. Preheat the oven to 350 degrees F. Line 2 baking sheets with parchment paper and set aside. 3. Sift the flour, salt, and baking powder together into a small bowl, stir in the coffee, and set the bowl aside. 4. 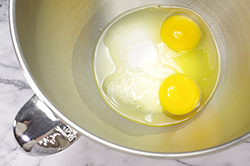 In the bowl of a stand mixer fitted with the whisk attachment (or a bowl with a whisk by hand), whip the eggs and sugar together on medium speed until very thick and pale, 3 to 4 minutes (about 8 minutes by hand). Add the vanilla and mix well. 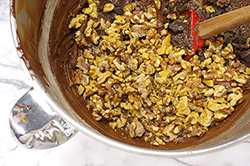 Fold in the cooled chocolate mixture, then the dry ingredients, and finally the remaining 3 ounces chopped chocolate and the walnuts. 5. Use 2 spoons or a small cookie scoop to drop rounded tablespoons of batter 2 inches apart onto the prepared baking sheets. 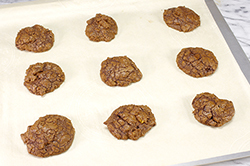 Bake the cookies, one sheet at a time, until they’re puffed, shiny, and cracked, 8 to 10 minutes. Let the cookies cool completely on the baking sheet – they will be very fragile. 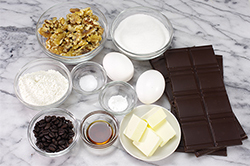 Substitute our Mint 70 percent dark chocolate for all 10 ounces of the dark chocolate, omit the coffee and walnuts, and fold in 3 ounces of chopped 45 percent milk chocolate instead of the dark chocolate at the end. 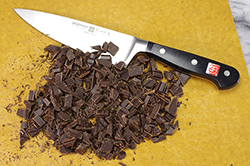 Substitute our ginger 70 percent dark chocolate for all 10 ounces of the dark chocolate, omit the coffee and walnuts, and fold in 1/2 cup (2-1/2 ounces) finely chopped crystallized ginger at the end.